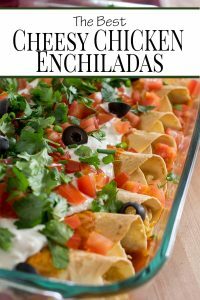 Chicken Enchiladas are my favorite when I go out for mexican dinner! 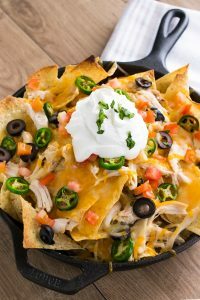 Made with homemade enchilada sauce, shredded chicken, and melty cheese, these make the perfect weeknight dinner. 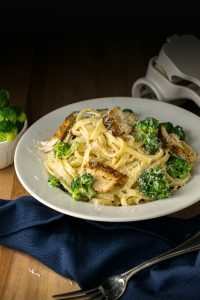 Cajun Chicken Pasta made with homemade Alfredo sauce, broccoli, and Parmesan takes less than 30 minutes to make. The Cajun seasoning can be spicy or just a little kick if you prefer. 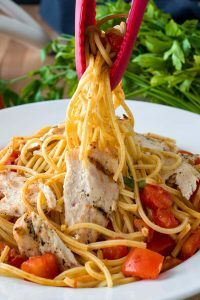 Bruschetta Chicken Pasta Recipe – perfectly seasoned chicken, tomatoes and basil stewed with garlic, pasta, and a generous drizzle of balsamic makes for a meal full of flavor! 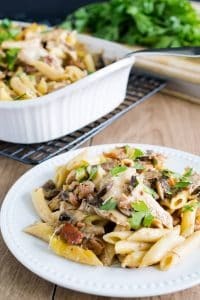 Simple, creamy grilled chicken pasta dish with mushrooms and prosciutto and tossed in a Marsala wine sauce. These Blackened Chicken Caesar Burritos are fast and a truly unique meal idea to add to your busy weeknight dinner list! Even if you are not a fan of super spicy foods, like my wimpy self, the seasoning can be adjusted easily. Tender, juicy, and full of flavor, this Chicken Ratatouille is a one-pot dinner that your family will love! A classic french dish gets a makeover for simplicity and can be easily converted into a crockpot recipe too! Two meals out of a rotisserie chicken including these Supreme Nachos. Perfect to satisfy that gameday craving! Today’s recipe is a very simple Citrus Honey Soy Marinade that satisfies a hungry family or a great party platter. Soup and busy weeknights are what life is made off. 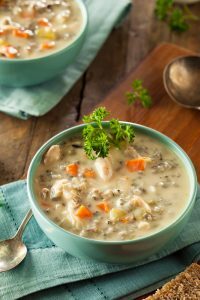 Just like the rich and creamy flavors of this Chicken and Wild Rice Soup. It’s no secret that I love to cook and while I do enjoy finessing a great meal that took an hour or more to make from scratch, about 30% of our meals are just to get something on the table. 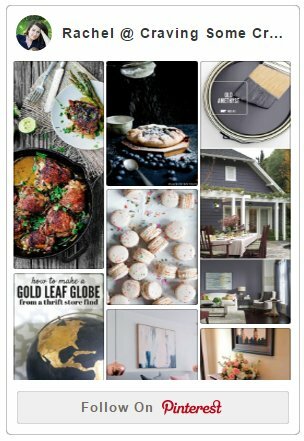 I am always looking for dishes that are long on flavor but short on time. This smothered chicken bake is a classic dish ready in just 30 minutes! The sauce combines fresh carrots and mushrooms with the creamy flavor of Campbell’s Garlic and Herb with Chicken Stock.